Germany has a host of captivating landscapes and cool cities for everyone to discover - whether you are travelling with schoolmates, a sports club or friends. Germany has something for everyone – nightlife, the arts, active pursuits and shopping – Germany has it all! Youngsters will find that travelling to Germany is affordable, safe and simple, and there are a number of special offers. Getting around is easy and quick thanks to the excellent roads and the superb infrastructure for train and coach travel. The choice of accommodation can also be tailored according to everyone’s needs, especially to youth. For example, Germany's many youth hostels do not just provide a bed, but they also offer outdoor pursuits, entertainment and activity. Meanwhile, A&O hostels, provide budget accommodation in locations almost at the centre of the city. Nature lovers can simply bring their tent and pitch it up at one of Germany’s many first-class campsites. For Children and Youth Travel, German Federal Forum provides tips for organized youth trips. It only lists tour operators that meet the forum’s strict quality criteria. This means the youngsters get to have fun while their parents can sleep easy at night. 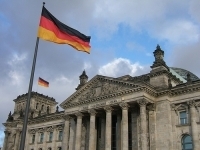 For more information on Germany Tourist Visa follow us on Facebook.